provides for the continued existence of LICH as a downsized, healthcare facility, while providing a pragmatic alternative to other plans which would simply allow LICH to shut down, pack up and leave Cobble Hill. Something is rotten in the State of New York. Shame on Joan Millman. That’s called trying to have it both ways. We need a full-service hospital with a 24-hour ER for the heart attacks and strokes many of us and our neighbours are likely to have at some point — when, literally, every minute will count. There can be no ER without in-patient facilities. Everything is rotten in the State of New York. Am I missing something here? Since January the doctors, nurses, hospital staff, and community stakeholders have been fighting to save LICH as a full service hospital. Joan Millman has spoke at many of the rallies to save LICH and now she is talking about placeholders in case we have to go back to the Governor! Could someone translate that into plain English, please? The Governor has made it clear that he wants to kill LICH and sell the real estate to save the real money loser – University Hospital at SUNY Downstate. There is no going back to the Governor. If Cuomo hasn’t heard what his constituents are saying, he’s either extremely isolated or the elected officials are telling him something else. Thank you for your continued support. We will be expressing our right to assembly and free speech on monday in a Big Brooklyn Rally to governor Cuomo’s office in manhattan. Buses will depart at LICH. The community is encouraged to join in. Then on wednesday July 10, 2013 a Big Brooklyn Rally to SUNY Chancellor’s office in manhattan. Community is also encouraged to join in. Buses will depart from LICH. 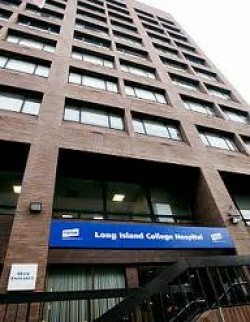 In the face of SUNY’s continued contempt for court orders andfailure to find a new operatorfor Long Island College Hospital, we are escalating our efforts to keep LICH open for care. Next week, we will be taking the save LICH message to the Manhattan offices of Governor Andrew Cuomo and SUNY Chancellor Nancy Zimpher. On Monday, July 8, NYSNA, 1199 and supporters of Long Island College Hospital will be holding a rally to tellGovernor Cuomo to keep LICH, as well as Interfaith and Brooklyn Hospitals, open for care. Buses leave from LICH at 2:45 pm at the Hicks Street entrance. LICH supporters will rally and deliver a petition toChancellor Zimpher to obey the court order and keep the hospital open at safe staffing levels. This is an important week for our communities. Please pass this message on and urge your friends and neighbors to participate. Tell Gov. Cuomo to Save LICH – Monday 7/8! Tell Chancellor Zimpher to Stop Breaking the Law – Wed. 7/10! A flip-flop? She seems to be singing a different tune now. Who is Joan Millman representing today? Does anyone else smell real estate money? Why is the ER waiting room at LICH empty? Remsen Street Dweller you hit the nail on the head. I applaud you. The community inside the hospital and outside rely on your instinct and intuition. It is wrong, just plain wrong. I grew up in this community. My brother and I were born at LICH. Our children were born there. Our families have always gone to LICH. This is a respectful community. My community which has been Cobble Hill, Boerum Hill and now Caroll Gardens have always taken pride on how respectful and tolerant we are of eachother. Our communities are overdeveloped and continue to grow. This is a sad day for SUNY DOWNSTATE and those associated with this organization. In the months that this situation has imploded on all of us we have yet to see or hear from the SUNY DOWNSTATE. Many of us believe SUNY is NOT above the law. We shall see as Justice Johnny Lee Baynes New York Supreme Court Justice renders his decision in the coming week. P.S. In LICH ICU today, there are 2 attending physicians present, plus one attending physician on call, 6 ICU Registered Nurses, 2 physician assistants, 1 nurses aide, a nurse manager and a case manager – all for just 2 patients – both of them being transferred out of ICU today. There’s even more staff than that in ER. There’s just 28 patients in the entire hospital, with a full staff of nurses, doctors, and other caregivers on those floors too. actually that is the lobby. people are still walking into the ER & being cared for immediately. Part of the reason why the ER WAITING area is empty is because there is no waiting. Since theres no ambulances coming in, it’s much less crowded inside and you are taken right in. no idea what this means. I wrote her asking for an explanation. No response. Maybe because of the holiday? no flip flop. she was asking from the beginning which services should be keep at lich — never heard her demand that LICH remain a full service hospital. From the start she seemed to be willing to accept LICH being reduced to something much less. Yes, you make a good point. And, that is a good reason for people to be using LICH’s ER. But the real question is why SUNY is actively doing everything to sabotage LICH by banning ambulances, not allowing patients to be treated, not renewing staff residencies, etc., etc., in short acting in contempt of NYS court to effectively but illegally and immorally shut LICH down. Please read the article in the Brooklyn Eagle – http://www.brooklyneagle.com/articles/brooklyn-state-representatives-put-%E2%80%98failsafe%E2%80%99-lich-bills-place-2013-07-02-204100. Also log onto http://www.lichmedicalstaff.org for access to many news articles about the situation. It is dire — and our lives are truly at stake. Not true — Joan Millman even started this petition — see http://www.change.org/petitions/governor-andrew-cuomo-and-nys-health-department-commissioner-dr-nirav-shah-keep-university-hospital-brooklyn-at-long-island-college-hospital-open. She appeared at numerous rallies over the last several months offering her support to keep LICH as a full service hospital. I heard her and saw her many times. She started that petition in February. I recently bumped into her & asked if the petition had ever been submitted and if there was a response from the governor. She said she’s keeping it up online for more signatures. I could be wrong but I understood that to mean that she still has not submitted it to the governor. It has been online for 7 months & has over 6000 signatures. Hopefully others here will ask her about that petition too and move her to submit it ASAP if she hasn’t yet. BTW, from very early on in the winter, she was taking about compromising on a downsized LICH “we need to look at which services to keep so we can at least keep some semblance of LICH and not lose the whole hospital”. That bill sounds like she’s still thinking along those lines. Next I see her, I’m going to ask if she has thrown in the towel on fighting to maintain LICH’s full service. Thank you, JW. I hope you do see Joan Millman and can ask her.